NCERT Solutions are considered an extremely helpful resource for exam preparation. Meritnation.com gives its users access to a profuse supply of NCERT questions and their solutions. CBSE Class 11 physics NCERT Solutions are created by experts of the subject, hence, sure to prepare students to score well. The questions provided in NCERT Books are prepared in accordance with CBSE, thus holding higher chances of appearing on CBSE question papers. Not only do these NCERT Solutions for Class 11 physics strengthen students’ foundation in the subject, but also give them the ability to tackle different types of questions easily. 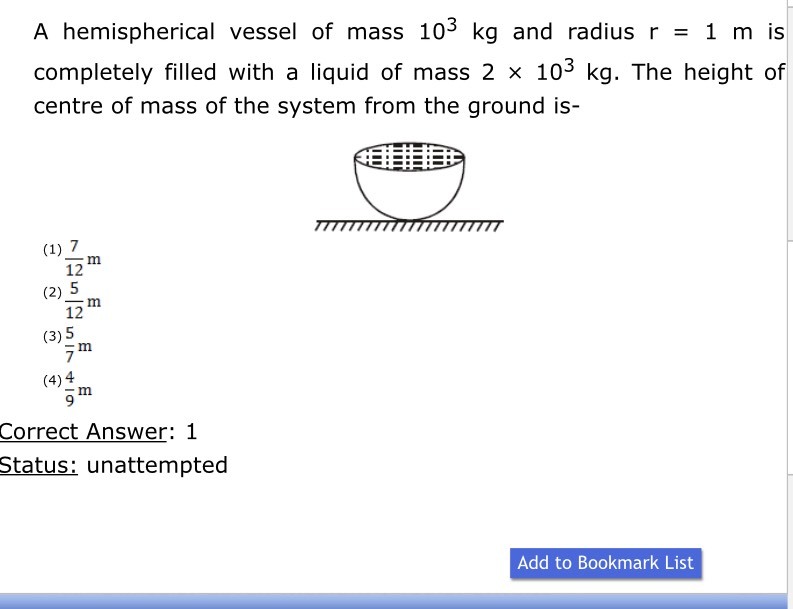 Our CBSE Class 11 physics textbook solutions give students an advantage with practical questions. These textbook solutions help students in exams as well as their daily homework routine. The solutions included are easy to understand, and each step in the solution is described to match the students’ understanding. How to read log & anti log table?????? A uniform rod of mass m and length L is placed horizontally on a smooth horizontal surface.An impulse P is applied at one end perpendicular to the length of rod.Find the velocity of centre of mass and angular velocity of rod just after the impulse is applied. a block of mass of 2 kg is placed on the floor. the coefficient of static friction is 0.4 . a force F of 2.5 N is applied on the block. calculate the force of friction between the block and the floor.